Average rating of 2 reviews. 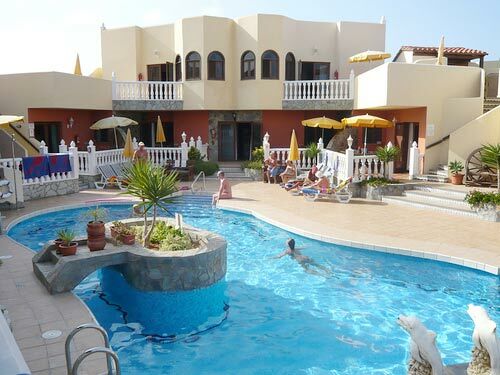 Fuerteventura Naturist Sun Club is a privately-owned group of 8 apartments and 3 villas, near to glorious naturist beaches. There is a heated swimming pool, hot-tubs and sauna and for several months each year Infiniti is a totally naturist venue. At all other times the large roof-terrace and sauna are clothes-optional. The accommodation is self-catering. I can't think of any where better to be right now, looking out the window watching the rain falling down and it's August in the UK. What is your experience with "Fuerteventura Sun Club / Infiniti"? How do you rate Fuerteventura Sun Club / Infiniti in general?